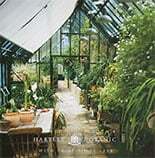 Home / Help and Support / FAQs / How to bubble wrap a Hartley greenhouse? How would i attach bubble wrap to the inside of my greenhouse? Bubble wrap can be attached by simply using ‘no.8 self tapping screws’ to an appropriate depth. These can be screwed directly into the channels in the aluminium extrusion. Also use washers with the screws to prevent the bubble wrap tearing. Also useful are strong spring loaded clips (like stationers ‘Bulldog’ clips) i.e. stronger than clothes pegs, although these have also been known to be used successfully.